The TSX has seen four straight record closes and seven straight winning sessions as it continues to build on its post-election momentum. At the close in Toronto, the S&P/TSX Composite rose 0.37% to hit a new all time high. The best performers of the session on the S&P/TSX Composite were ProMetic Life Sciences Inc. (TO:PLI), which rose 8.47% or 0.200 points to trade at 2.560 at the close. Meanwhile, Colliers International Group Inc (TO:CIGI) added 7.82% or 3.99 points to end at 54.99 and CAE Inc. (TO:CAE) was up 6.58% or 1.25 points to 20.24 in late trade. The worst performers of the session were Teck Resources Ltd B (TO:TECKb), which fell 10.25% or 3.35 points to trade at 29.32 at the close. Pan American Silver Corp (TO:PAAS) declined 6.84% or 1.86 points to end at 25.33 and Cameco Corp (TO:CCO) was down 3.90% or 0.63 points to 15.51. 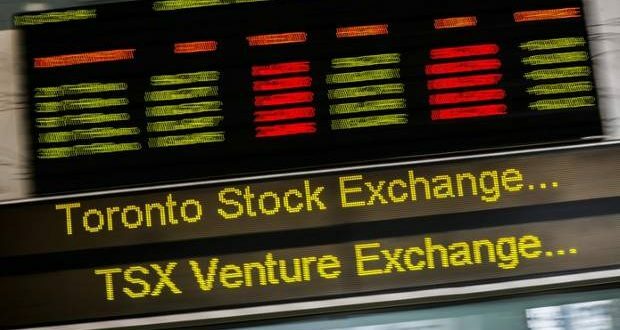 Rising stocks outnumbered declining ones on the Toronto Stock Exchange by 690 to 484 and 144 ended unchanged. Shares in CAE Inc. (TO:CAE) rose to all time highs; rising 6.58% or 1.25 to 20.24. The S&P/TSX 60 VIX, which measures the implied volatility of S&P/TSX Composite options, was down 6.70% to 11.28. Gold Futures for April delivery was up 0.67% or 8.25 to $1233.65 a troy ounce. Elsewhere in commodities trading, Crude oil for delivery in March fell 0.38% or 0.20 to hit $53.00 a barrel, while the April Brent oil contract fell 0.54% or 0.30 to trade at $55.67 a barrel. CAD/USD was up 0.03% to 0.7650, while CAD/EUR fell 0.22% to 0.7215. The US Dollar Index Futures was down 0.17% at 101.03.